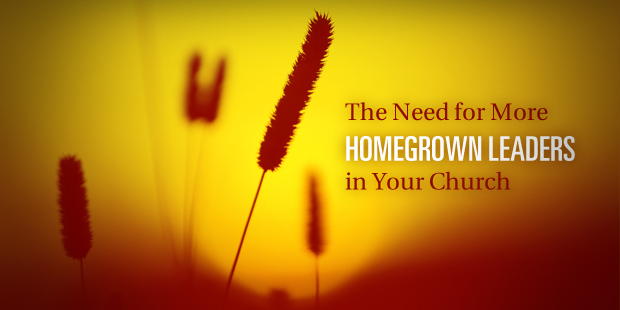 The church needs more homegrown leaders. It’s not a novel plea. In fact, church researchers have called for local equipping of leaders for a long time. In our globalized society, however, it is becoming even more important. Today everyone has access to the same information at the same time. Podcasts, blogs and sermon videos are ubiquitous. The best teachers and preachers in the world now broadcast messages for free. Anyone can listen and benefit from excellent teaching—simply take your pick from several great leaders. The problem is applying this teaching to a variety of individual contexts. What we need are local leaders who understand unique cultural nuances of small towns, neighborhoods and enclaves of larger metropolitan cities. 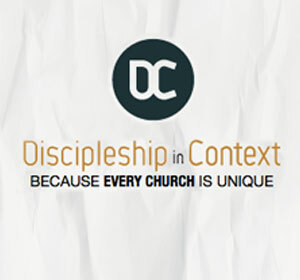 Many churches will benefit by training and equipping local, homegrown leaders who have specific, lifelong knowledge of their context. What are some things to consider when empowering these homegrown leaders? Inside, not outside hires. Church leaders will do better in most cases to train up people from within their congregations rather than hiring from the outside. First, if a person is faithful to a specific local church, then the likelihood of that person being sold on the vision of the church is higher. Second, inside hires have at least a basic understanding of the church culture (on the inside); whereas it’s speculation on an outside hire being a cultural fit. Additionally, an out-of-town hire will have two cultures to learn: the inside church culture and the outside community culture. The rise of Boomer volunteers. Perhaps you’ve heard the Baby Boomer generation is reaching retirement age. Many of them will want to spend their retirement years serving—what better place than the local church. As they enter this season of their lives, perhaps they could lead a lay-led revolution within churches. If you’re wondering why your “senior” ministry keeps getting smaller and older, and no “fresh faces” are joining, it’s because Boomers don’t want to be lumped in with their parents. In fact, many churches may discover an army of volunteers by starting a new type of Boomer ministry with a leadership focus. Intentional diversity. We are becoming a majority minority nation, and most communities in our country are changing. They are becoming more diverse. Homogeneous churches could benefit by utilizing the few people in their congregations of differing ethnicities and socioeconomic statuses. Be intentional about learning from them, giving them leadership positions, and equipping them to reach outward. Homegrown leadership is not new, but all churches should have a plan to equip their own. And developing homegrown leaders is a biblical way to help the church culture reach outward into the culture of the community. Read more from Sam here. How Do You Resolve the Tension of Enthusiasm vs. Oppression in Your Staff Position? Want to Get More Done? Stop Doing So Much!